Author Scott DicksonPosted on December 23, 2018 December 21, 2018 Categories Uncategorized2 Comments on Better than TV! It’s Week 33 and the theme is Family Legend. Every family has at least one legend, one story that has been passed down without any sort of substantiation. Folks just take them for granted and accept them as the gospel truth. For example, nearly every family has three brothers who immigrated to the Colonies together. One went south, one went west, and one stayed along the east coast. Almost never true. Nearly every family has an “Indian Princess” in there somewhere (we certainly do, a couple of times). There’s even less likelihood for there to be even a germ of truth or drop of native blood in that one. But, here’s one that I actually tried to figure out whether or not it could be true. Meet Lida Cason Higgs. This is her wedding photo, taken with her new husband, John William “Will” Higgs. They were married in 1889 in Arkadelphia, Clark County, Arkansas. Lida was a strong, strong woman. But she came from a strong, strong family. Her parents had gone to Africa as missionaries in 1856. Her father served as a Chaplain and then a Captain of Infantry in the Civil War. Her mother kept the family while her husband was away at war and while they moved across Mississippi, Arkansas, and Texas serving churches and working to evangelize the Native Americans in west and central Texas. Lida and Will and their children moved to southeast Oklahoma shortly after statehood, where Will worked in the newspaper business. When he died at a relatively early age, leaving young children at home, Lida picked up and did what she needed to. She taught school and continued the work at the newspaper. When her son’s wife died shortly after the birth of her first child, Lida stepped in to help raise that little boy and to travel west with her son as he pursued work. She just kept on through lots of difficult circumstances. But what of the legend. First, you need to know that Lida’s actual given name was Eliza Johnson Cason. Where in the world did that come from? No one in the family was named Johnson, much less Eliza. In fact, this part of the family has had a long tradition of Betties. Well, in Lida’s father’s Bible, there was a notation that Lida was named for the woman who nursed her father back to health after he lost his arm in the Battle of Bean’s Station in the Civil War. That sounds like it needs a little background. Lida Cason Higgs’ father was Rev. Jeremiah H. Cason. J.H. Cason was born in 1832 in Wilson County, Tennessee. He answered the call to preach when he was just nineteen years old. He and his wife Bettie Cooper Cason were part of the first supply of missionaries that the Baptist church sent to the Yoruba Country in Africa. After his return, he served churches in Tennessee and Mississippi. When the Civil War broke out, he enlisted as a Chaplain. After a short time, he resigned and then reenlisted in the Infantry, quickly rising to become Captain of Co. C, 41st Alabama Infantry, a part of Gracie’s Brigade. In December, 1863, J.H. Cason was indeed a part of the Battle of Bean’s Station in east Tennessee. And he lost his arm in this battle due to a bullet wound. His left arm was amputated above the elbow, but he survived and lived another fifty years. Jere Cason died in 1915 in Royse City, Texas. So, if the notes in the Bible detailing how and where Jere lost his arm were right, could there be some truth to the idea that Eliza Johnson nursed Jere back to health? I am not sure how certain we can be, but here’s what I have found. The Battle of Bean’s Station took place near the town of Bean’s Station in Grainger County, Tennessee on 14 December 1863. On a hunch, I took a look in the census for that area in 1860, as close as we can get to the date of the battle. Sure enough, according to the Census, Larkin Johnson lives near the site of the battle and he has an unmarried 26-year-old woman, presumably his daughter, named Eliza, living in his household. Looking backward, we find the same family in place in 1850 as well. By looking at the estate records for Grainger County, we find that Larkin died in 1865. In 1870, we find Eliza, still unmarried living in the household of a William Johnson who is a few years her junior. The 1860 Census lists a William (presumably a younger brother) in the house then, too. So it looks like Eliza is living with her younger brother and his family. Both she and he show up on the Agricultural Schedule of the 1870 census as farm owners, presumably from the (missing) distribution of their father’s property. In 1880, we again find Eliza, still unmarried, listed as sister-in-law to John G. Brown. His wife is Elizabeth and there is an Elizabeth Johnson in the family in 1860. What does all of this tell us? Well, it can tell us that this family really is a family. It can tell us that Eliza Johnson really lived, lived adjacent to the battlefield at the right time. Can it tell us that she served as a battlefield nurse? No. Can it tell us that she tended J.H. Cason after he was wounded? No. Can it give us circumstantial evidence that this legend could be true? Absolutely! The story talks about a person that we likely have found. And one thing I have found to be true. When Jeremiah H. Cason wrote something down or said something, it was by-golly the gospel truth. So, in true Mythbusters style, I would call this family legend proved “Probably True”. Now, if I can only find those three brothers and where they went…. This is is one of my favorite pictures. Grandmother and Granddad, Susan Louise Bailey and Robert Harrison Dickson, Jr, always looked in love. Sure, there were good times and hard times. But, they always looked in love. Born in 1919, they married pretty young by today’s standards: early in 1940 at the age of 20. Not long after that, they had two young sons. They moved from Arkansas to California for a year or two, but pretty quickly came back to Arkansas. Grandad went off to war in the Pacific near the end of WWII and stayed for the Korean occupation. Along the way, they always were quick to help out anyone who needed help, quick to strike up a conversation, tell stories, and smile a lot. I am not sure I ever saw Grandmother wash a dish. She cooked, baking fresh breakfast biscuits in a toaster oven right at the table so they were as fresh as possible. But I remember Granddad always doing the dishes. Anything at all for Sue. And the same way with Grandmother. Anything at all for Robert. Grandmother and Granddad moved from Arkansas to Pittsburgh when they were past 75. My step-mother invited them to come live near them while everyone was healthy. They said yes without having to consider it more than a minute. But that’s another story. Grandmother died about ten years after they moved to Pittsburgh. I was visiting Granddad not too long after that, after his health was failing, and his memory fading. He and I went out to run errands, have dinner at Eat-n-Park, and to go to the community Thanksgiving service at church. At dinner, I asked him to tell me again about how he and Grandmother met. “Oh, that was June 8, 1938. We both went to a youth meeting at church and met there. I asked if I could walk her home. And neither of us ever dated anyone else after that night.” Around then, he might get flustered and not really be sure of the day of the week or what we had for dinner, but that was a moment that he would never forget. Because Robert and Susan were always in love. I must be a real Genealogy Blogger now. Wrenacres is listed in Thomas MacEntee’s GeneaBloggers registry. He keeps a list of known blogs about genealogy. As much as anything, maintaining a site like this is for the writer as the reader. I hope that we can both enjoy and get something out of this effort. Starting out, I have some ideas as to what I might like to write about, but I am sure that things will change as we go along. So, let’s go along for the ride. I’m Scott Dickson. I’ve been interested in my family and my family history since the late 1980s. In all of that time, I have found out a lot and come to a lot of brick walls. I’ve sort of become the archivist (and chief hoarder) for my family. I maintain my own family tree at my personal site, wrenacres.com. By profession, I am a tech guy, a sales engineer with Oracle, specializing in private cloud management, OpenStack, operating systems, virtualization, and system management. I am a product specialist and travel extensively around North America, working with a variety of large and small companies. If you want to know more about this, check my LinkedIn profile. I have been married to Kathleen, my wonderful wife since 1997. She is the sweetest, most caring, most creative and boldest person I have ever met. She is a fabulous cook, teaching classes at our local Whole Foods Market. She helped establish and oversees the food pantry at her church. She has been very involved with The Global Soap Project, working to recruit new hotels to save their leftover soap to be used in impoverished areas to provide basic sanitation. This is really a cool organization. She also manages volunteers and recruits new providers to share their leftover food with Feeding America, formerly Second Harvest. As you can tell, I’m pretty proud to be Kathleen’s husband. 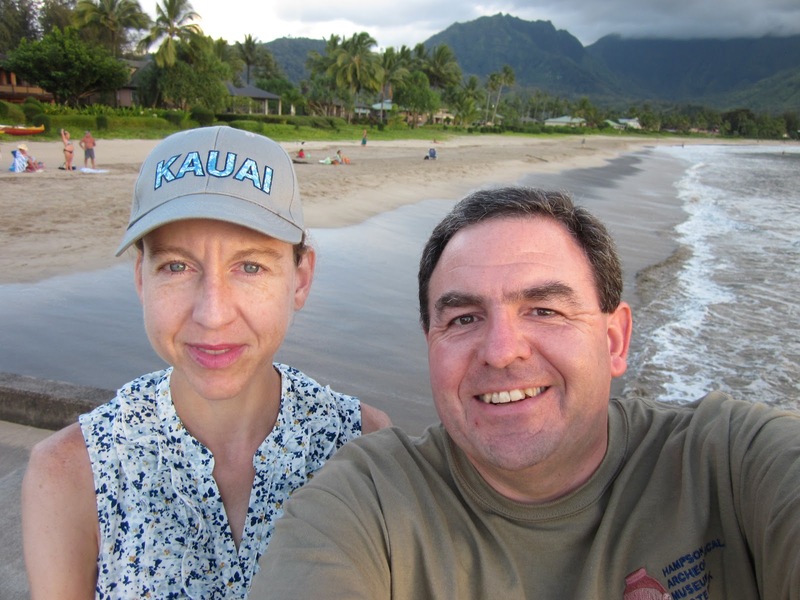 Kathleen and I are crazy about Hawaii, especially Kauai and travel there as often as we can. So, that will tend to crop up from time to time. I am sure that this will come up again in more detail, but here’s the basics. My grandfather, Hudson Wren, was a farmer in northeast Arkansas, around the town of Wilson. He was farm manager and Executive Vice President of Lee Wilson & Company, one of the largest privately held cotton farms in the nation. In addition to running the Wilson farm, he had his own farming interests, part of which he named Wrenacres. So, I’ve used Wrenacres as my web site and as my blog address as a tribute to my grandfather. What will we cover here? Dickson – I know the least here. Tennessee to Alabama to Mississippi to Arkansas, 1820-present. It took me 25 years to be able connect John H. Dickson, my great-great-grandfather to any family at all. Wren – George Wren, George Washington Wren, Alonzo Dossey Wren, and their descendants. Virginia to South Carolina to Georgia to Louisiana to Arkansas, 1770-present. Hudson – Wesley Hudson, who lived primarily around Atlanta from 1830, has been one of the great mysteries to me. Bailey – The Bailey line goes all the way back to Jamestown in 1610 and is a fascinating story. Francis Baker Bailey came from Virginia to Kentucky to Arkansas prior to Arkansas statehood. Lots of others. Check my tree at wrenacres.com for details. So, let’s get on with the show! Thanks for stopping by! Author Scott DicksonPosted on March 6, 2016 March 6, 2016 Categories Uncategorized1 Comment on Welcome to Wrenacres!